Russia's finance minister calls for more freedom in the economic sector as the country prepares for elections later this year. On Feb. 18, Finance Minister Alexei Kudrin called for "just and fair," warning that without trust in the political process, economic growth and the drive to wean the country from its dependence on oil and gas will falter. With elections to the State Duma set for December, and a presidential race next year, Kudrin has come out to add an economic impetus to President Dmitry Medvedev's recent calls to liberalize Russian politics. Speaking at an economic forum in Krasnoyarsk, Kudrin said that a credible vote is needed to establish "the mandate of trust necessary for economic reform," reported Bloomberg. "If distrust is established, we will not be able to carry out our tasks fully," said Kudrin, as he called for "all major political forces in society" to be represented in forthcoming elections. While the approval ratings of Medvedev, Prime Minister Vladimir Putin, and the ruling United Russia party remain high--at around 70 percent or so--they have slipped somewhat since the start of the year, as inflation has bitten hard. Despite that overwhelming lead, the authorities are often suspected of applying pressure during elections in order to produce as high a vote for themselves as possible, which is then used as a mandate to push through practically every policy chosen. The state controls most of the media, and opposition parties often find problems when attempting to register to take part in polls. 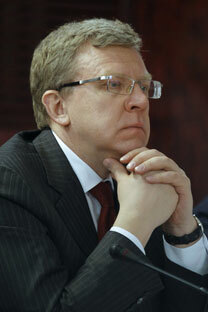 However, Kudrin's call reflects the Kremlin's weak point. Russia's awful image has helped make it far and away the cheapest major stock market in the world and has kept FDI suppressed, with the lack of diversity in its economy also weighing in. In short, it needs to persuade international investors to commit cash and expertise to the country's modernization drive. Kudrin pointed out that the approximately 4 percent that the economy is expected to expand by this year is "not enough" to allow Russia to compete on the global stage, suggesting that 7 percent is needed. He also noted that FDI in 2010 retreated by $14 billion--the second straight year of dwindling investment. "Investors are in the mood to wait and see how Russia recovers in the wake of the crisis and we need to quickly create the necessary conditions and guarantees," Kudrin said. "We need to substantially improve the investment climate."